Benny has written this statement after dozens of West Papua National Committee (KNPB) activists were arrested recently in support of the International Lawyers for West Papua launching in the Netherlands. Recently, on the 19th and 23rd of November, 31 West Papuans were arrested and 3 shot by the Indonesian police in Nabire, Dogiyai and Kaimana. They were peacefully demonstrating in support of the launching of the International Lawyers for West Papua (ILWP) in the Netherlands, which I recently attended. 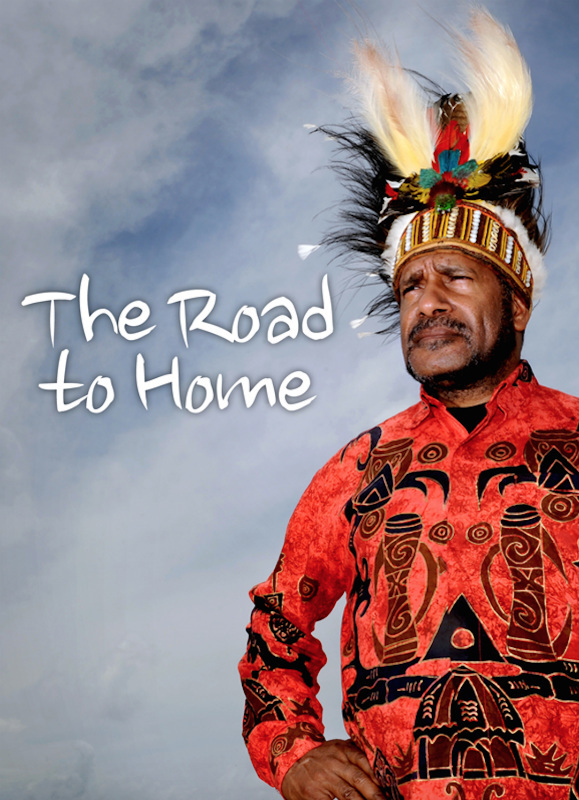 The ILWP is pushing for self-determination for West Papuans and raising essential awareness about how our people have this fundamental right under international law. The demonstrations were also held to celebrate the 6th Anniversary of the founding of the West Papua National Committee (KNPB). This is a mass peaceful civil organisation, mobilizing my people to peacefully resist the Indonesian government so as to push for our freedom. On 19th November, the KNPB mobilised thousands of my people all over the country to take part in these peaceful gatherings. In Nabire, the demonstration was forcibly broken up by the Indonesian police who arrested 13 Papuans. In Dogiyai, the Indonesian police broke up the demonstration of over 300 Papuans by opening fire on the crowd, shooting 3 of my people and arresting 12 of them. Similarly, on Sunday in Kaimana, 6 West Papuans were arrested without an arrest warrant after Indonesian police failed to disperse the demonstration of over 700 West Papuans on the 19th November. Many West Papuans who were arrested last week are still being held behind bars by the Indonesian police and I am incredibly concerned for their safety and welfare. 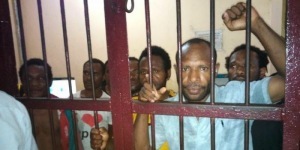 As a former political prisoner myself in West Papua, I have first-hand experience of the inhumane conditions in which arrested Papuans are kept and the constant threat of further torture by police and prison guards. I have heard already how the Chairman of the KNPB in Nabire, David Pigai was shot and stabbed in the head with a bayonet. He is now currently in an extremely worrying condition in prison and many of the other inmates are sick due to a lack of food, water and health treatment. I fully condemn the Indonesian government, police and intelligence services for these evil acts of violence and unlawful detention including the shootings of 3 peaceful demonstrators. Examples of such brutality show the world that the Indonesian government and authorities in West Papua are still very scared of my people voicing our demands for freedom because the outside world is beginning to hear us and advocate the fulfillment of our right to self-determination. I am demanding that the Indonesian government immediately releases all those arrested in Nabire, Dogiyai and Kaimana and immediately brings to justice all those who are responsible for the shootings and violet dispersal of the peaceful demonstrations. I also am calling upon all friends of West Papua including groups such as Amnesty International and Human Rights Watch to please put pressure on the Indonesian authorities and call for the release of the prisoners. Please contact the Head of the Indonesian Police in Nabire on this number: +62 081352099818 and their office on this number +62 098421008 Please ask them to immediately release the West Papuan demonstrators who were arrested and stop violating the rights of other innocent people in West Papua. My people endure constant oppression, detention and attacks just for speaking out for our rights and just for being who we are. We desperately need your support to put an end to our 5o years of suffering and human rights abuse at the hands of the Indonesian authorities. Please help my people to have our fundamental rights to self-determination and freedom recognized. With your support, we do beleive that one day we will finally be free. West Papuans in Nabire show their support for the launching of ILWP in the Netherlands. Many of those in this gathering were arrested ad are now in jail. Those arrested in Dogiyai are: 1. Aneas Anau 2. Marsel Sau Edowai 3. David Pigai 4. Agus Waine 5. Marten Pigome 6. Okto Tebay 7. Fery Pekey 8. Wilem Pigai 9. Ausel Pigai (A) 10. Ausel Pigai, (B) 11. Stephen Goo and 12. Tomas Waine. Those arrested in Nabire are: 1. Sadrak Kudiai 2. Alex Pigai, 3. Japeth Keiya 4. Agus Tebay 5. Mecky Kadepa 6. Christina Yeimo 7. Hans Edowai 8.Stepehn Edowai 9. Elia Tebay 10. Natan Pigai 11. Niko Motte 12. Alpia Kadepa and 13. Derius Goo. Those arrested in Kaimana are: 1. Gofur Kurita 2. Dewi Kurita 3. Niklas Busira 4. Marden Namsau 5. Kores Namsau and 6. Demianus Waita.